Hello People And Welcome To Millionvisitars, Let’s make yummy healthy apple smoothie for breakfast or you can have it on any time. First take yogurt, strawberry, ice-cream and apple slices and grind it till it gets smooth. When it gets smooth take out in a glass and on above immediately spread crush ice. 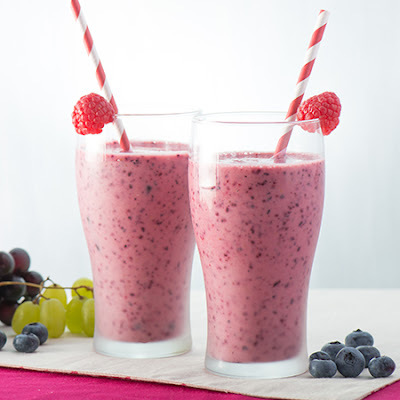 Here is our healthy breakfast smoothie is ready Enjoy!